WERA-039: Scientists from our participating universities have demonstrated improved sheep and goat production efficiencies, control of noxious plants, production of healthier animal product, improved fiber production, and enhanced communication—all of which either measurably reduce operating costs, increase profitability, improve the health of citizens, or improve the environment. A new lamb being examined. Issue: The American sheep and goat industries are undergoing a new awareness of their role in food and fiber production within an ecologically and economically sustainable production setting. Sheep and goats in modern management systems provide more than meat, pelts, and fiber. They may also lend themselves as tools to improve ecological systems. The role of small ruminants in stabilizing native ecosystems is an evolving frontier for scientists and producers. Improving the ability of the American sheep and goat industries to compete favorably in a rapidly developing world market requires new and refined information and communication efforts. The biological efficiency of meat and fiber production and the marketing of these products must be enhanced. Objective 1—Develop ecologically and economically sound land management practices. 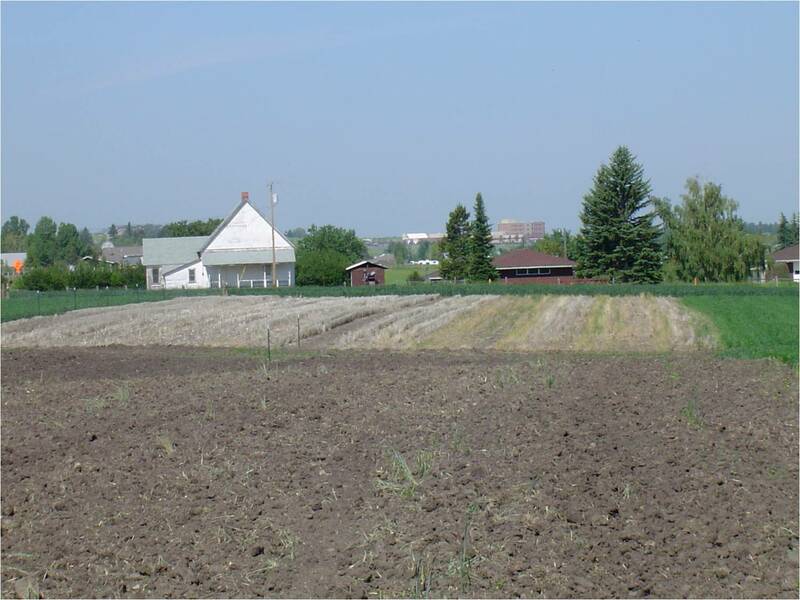 Descriptions were presented of potential applications and impacts of using sheep as a control for leafy spurge and spotted knapweed in Montana (Montana State University [MSU]). The impact that sheep and goats have on the control of pine encroachment was presented, highlighting the potential impact of reclaiming lands that have stopped producing herbaceous forage since the encroachment of pine (MSU). A special seminar was presented by Texas A&M University and Angelo State University (part of the Texas Tech University System) faculty on the benefits of combining fire, sheep and goat grazing, and rotational grazing for controlling invasive woody plant species on western rangelands. Evaluation chemical vs grazing management options. Objective 2—Develop sheep and goat management strategies that enhance efficiency for production of high quality, marketable end products. MSU has developed a Web-based sheep ration formulation system. The system is accessible to the general public and is expected to help producers better manage their sheep nutrition. MSU also reported on the benefit of using ultrasound measurements in rams to facilitate selection for improved carcass merit of offspring through understanding the relationship between sire and offspring characteristics. 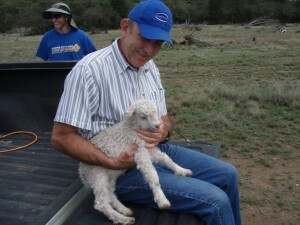 New Mexico State University (NMSU) has demonstrated that understanding the timing of lamb loss in a range sheep operation is vital to improving sheep production efficiency. The benefits of using various sire breeds to improve lamb production and pounds of lamb weaned in a reduced-input sheep production system were reported (Oregon State University [OSU]). Objective 3—Rapidly and accurately disseminate new information to the producer. 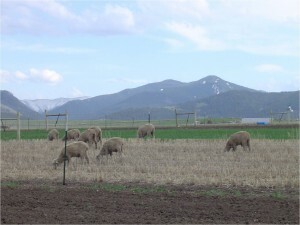 The Montana Sheep Ration program, which is available at www.msusheepration.montana.edu, provides sheep producers with a way to balance and save rations for sheep at various lifecycle stages, find answers to nutritional questions, and do a variety of other nutritional queries over the World Wide Web. At the 2007 Utah Sheep and Goat Education Day more than 180 producers received information on a variety of sheep/goat topics. Eighty percent indicated the information they received would benefit them economically. Sheep grazing weeds in pasture. Utah State University Impact: Initial data indicate that sheep grazing may be effective in opening shrub canopy to increase competitiveness of understory plants, such as grasses and shrubs, without reducing the reproductive performance of the sheep flock. If further study shows an increase in brood-rearing capability of sage grouse due to improved habitat, this management strategy could be another tool for land and wildlife managers to use to reduce the possibility of the sage grouse being listed on the Endangered Species list. New Mexico State Impact: Research at the NMSU Corona Range and Livestock Research Center has indicated that range ewes ovulate 1.75 ova per estrous cycle, give birth to 1.34 lambs, and wean 1.14 lambs per ewe. We can increase profitability of the sheep operation by decreasing reproductive wastage or increasing the weight of the lambs weaned and sold. Current research with progesterone therapy has not decreased embryonic mortality. However, our crossbreeding (Suffolk X western white face) has increased lamb weaning weight to 10% above that of the straight-bred western white face lambs. 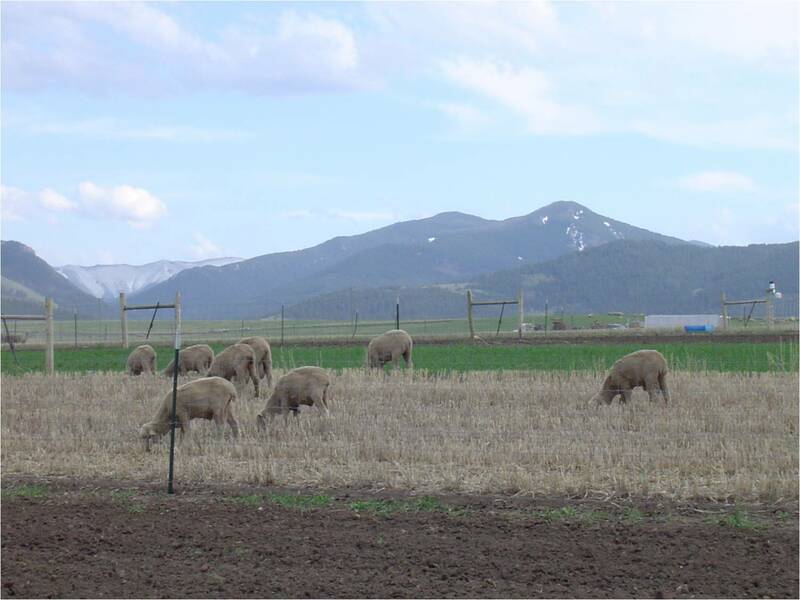 Montana State University Impact: This study demonstrates that grazing sheep on winter or spring wheat stubble and associated summer fallow does not negatively impact soil nitrate-nitrogen, percent gravimetric water, or subsequent crop yield. With the rising cost of fossil fuels and herbicides needed for traditional summer fallow, using sheep as a summer fallow biological control method may be an economically viable alternative to traditional, energy-intensive systems. Angelo State University Impact: Land owners can use goats as an effective biological control for small encroaching juniper plants without adversely affecting reproduction in pregnant does. Therefore, landowners should be able to maintain stocking rates and production levels while controlling the invasion of juniper on native rangelands. North Dakota State University Impact: Successful feeding strategies have been developed for increasing the selenium concentration of lamb muscle cuts. This selenium-fortified muscle, when consumed by humans, may result in a reduction in human cancer rates when the muscle is consumed at a rate of 0.25 pounds per day. Texas A&M University Impact: Using goats to control encroaching juniper provides potential savings of $85–100/hour and $30–70/hectare compared to mechanical and chemical treatments, respectively. Control of juniper species is desirable on millions of hectares of western rangelands. Control of juniper will be attained without herbicides, using a system that produces fiber and meat while improving the range environment. Reduction of encroaching cedar species will not only result in more productive rangelands but also in a healthier environment for the countless people who suffer from juniper allergies. Continued efforts from participating scientists would be greatly enhanced by the availability of meaningful federal research dollars for sheep and goat production practices.